Llangedwyn was originally a chapelry of Llanrhaeadr ym Mochnant, comprising (according to Archdeacon Thomas) the townships of Llangedwyn and Esgair Gwgan. In 1877, portions of the townships of Sycharth and Priddbwll, were added to it from the parish of Llansilin. The church was mentioned in the Norwich Taxation. It was restored in 1869/1870. 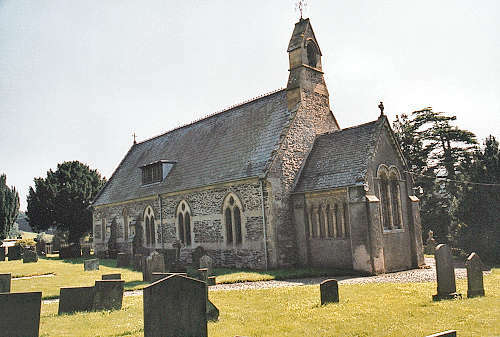 For family history information about the church and parish, visit the GenUKI Llangedwyn page.